We have discussed about different concreting method for pile foundation. Now we will discuss about specification for concrete mixing and placing. 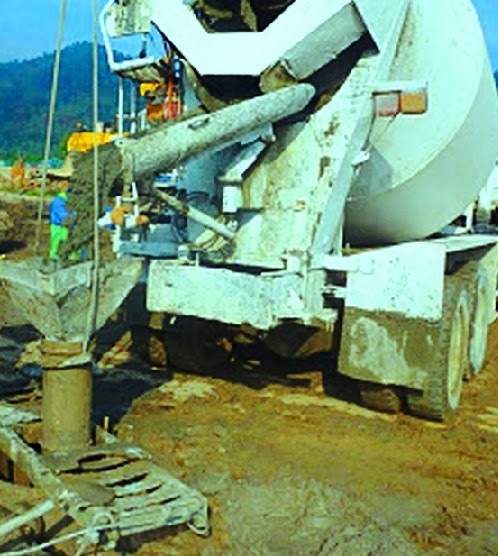 Our aim is to produce workable concrete that remain cohesive during placing. Here we are providing some specification about concrete strength, cement content and slump as well. -soil conditions surrounding concrete are non-aggressive i.e. favorable. -higher strength is not a requirement for structural point of view. 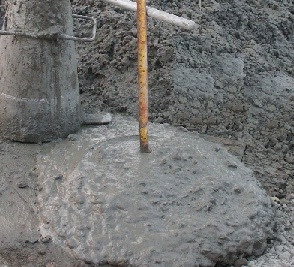 Another requirement said that for tremie concreting in a small diameter pile which length doesn’t exceed 10m, the cement should be 350 Kg per cubic meter of concrete. Cement content have to be increased to 400 kg per cubic meter of concrete for deeper pile (>10 m) and/or larger diameter piles. The 20 Mpa strength is correspond to 400 kg/m3 (minimum) of concrete and 15 Mpa strength is correspond to 350 400 kg/m3(minimum) of concrete. The mix design is performed such that the slump of concrete remains in between (100-150) mm; these are minimum and maximum limit for slump. But when plasticizers are used, these slump may be adjusted which allows slump as much as 175 mm. any one can please explain the concrete overbreak limit in bored RC piles, some typical value. Any standard or codal reference etc ?? ?